Fried rice is one dish which is easy to rustle up on a weekend and also everyone's favourite at home. 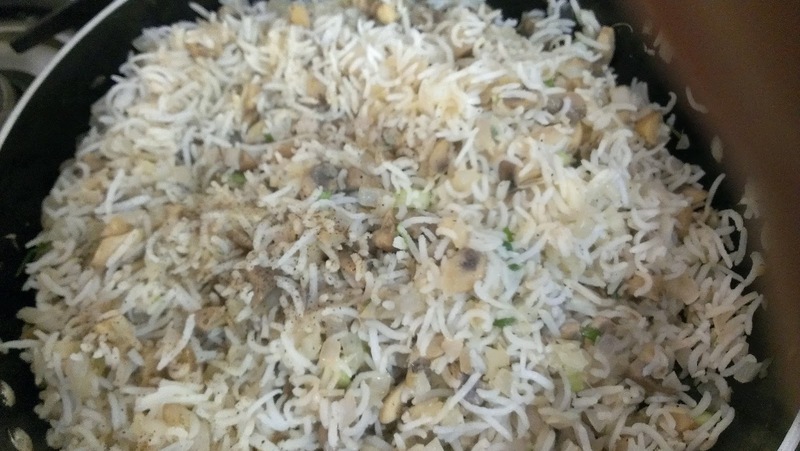 I have already given the recipe for Vegetable Fried Rice and Capsicum Fried Rice. 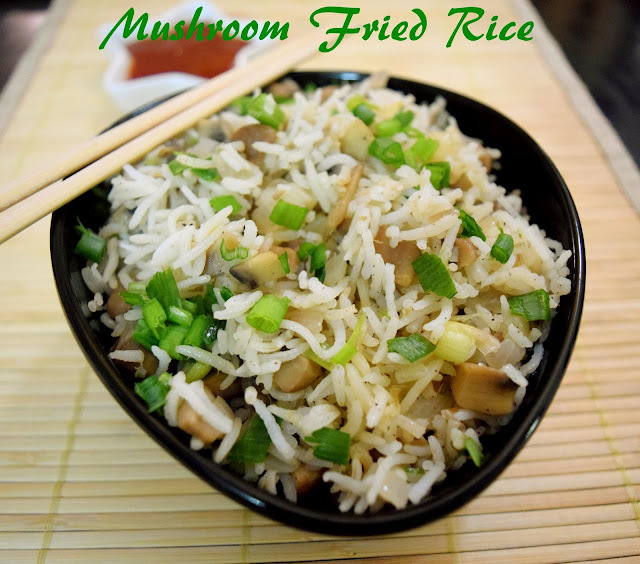 Mushroom Fried Rice is also very similar. 1. Cook rice with 6 cups of water as given in this link and keep aside. 2. 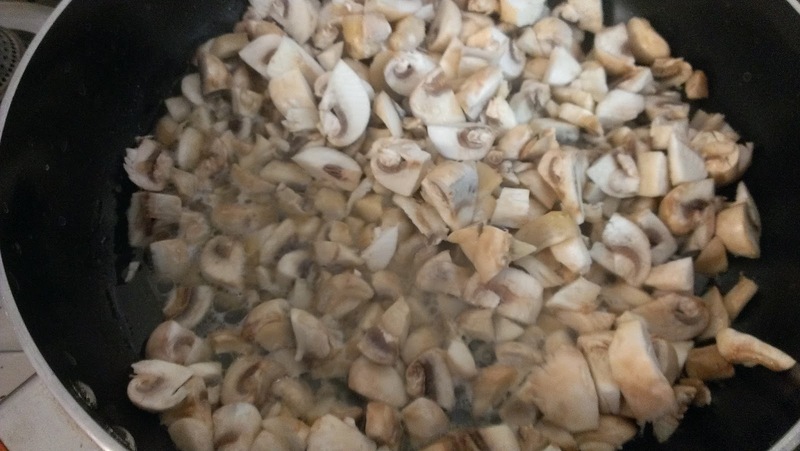 Clean mushrooms thoroughly as given the link here. 3. 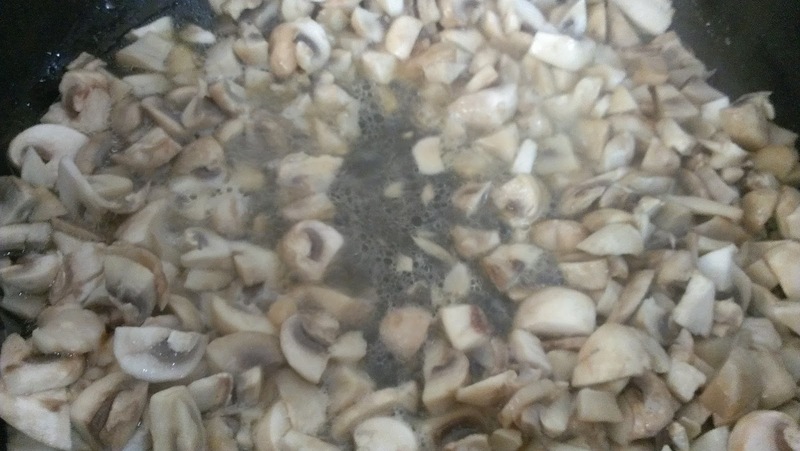 Heat oil in a wide pan and add mushrooms. The mushrooms will start releasing a lot of water. Cook till the water dries out. Keep the mushrooms aside. 4. 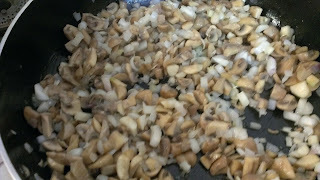 To the same pan add the onions and garlic and sauté till they turn light brown. 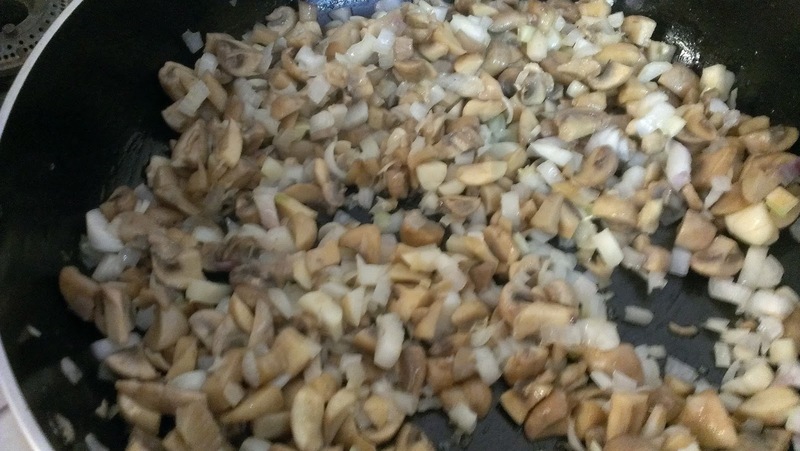 Add salt and the fried mushrooms to this and mix well. 5. Add cooked rice and pepper powder and mix. Take care not to break the rice. 6. Lightly sauté the spring onion greens with a little oil and garnish. 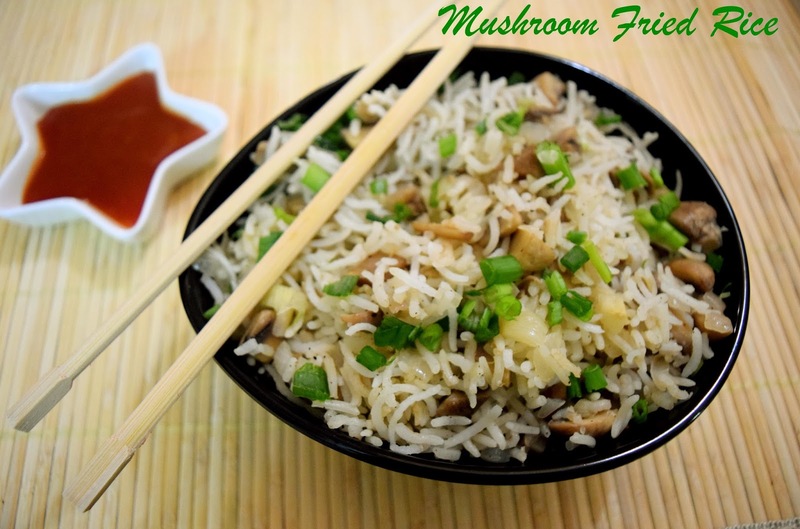 Serve the mushroom fried rice with chilli vegetable or just tomato ketchup.